Build New or Buy a Resale Home: What Should You Do? When you're ready to finally buy a home of your own, you are faced with a big first decision: should you build a new home or buy resale? Of course, each choice comes with benefits. In many cases, home buyers choose a resale home because it's the more budget-friendly option with a lower upfront cost. This may be true, but don't assume that a resale home necessarily costs less than new construction. There are other factors you want to consider aside from upfront price, including maintenance and repairs, nearby amenities, and more. Here are some useful points to consider to help you decide between a new home and resale. Buying a resale home can come with uncertainty. Is the plumbing in good condition? Have the heating and cooling systems been maintained? An important perk of building a new home is the peace of mind knowing that everything is new and you are protected by a home warranty. If you're willing to compromise on your wish list when buying a home, a resale home may be a good fit. Just keep in mind it will be built and designed with someone else's lifestyle and aesthetics in mind. It's true that you can always renovate the home after you move in but this means time-consuming and loud construction in your home, design limitations, and higher prices than you would pay to customize a new home. 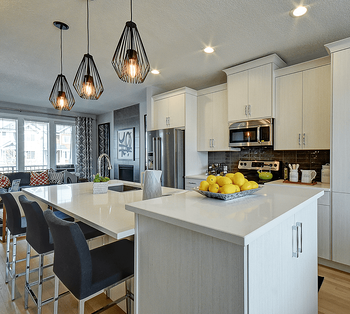 When you build a new home, you have the freedom to choose every detail that goes into the home from the appliances and kitchen layout to the finish details, paint colours, and floor plan. You can have a bonus room set up as a home office with built-ins or you can have the mudroom designed with a pet washing station. Every element of the home will be built to your specifications to get the exact home you want without sacrificing those big items on your wish list. Many home buyers choose a resale home because the landscaping, fencing, and other details are already complete and the home is a bit more affordable than a new home. While this may be true, the flip side is the home likely has other projects that need to be taken care of. The fence may be in need of repairs, the roof may be nearing the end of its life, and the flooring may be ready for replacement. All of the appliances and systems in the home are used as well. Even if you know the heating system is only a few years old, you have no idea how well it's been maintained or how much longer it will last. Resale homes can also be hiding unpleasant surprises such as hidden water damage from a leaking pipe. It's true that a resale home has a lower asking price but make sure you weigh this against likely repairs and maintenance you will need to perform within the first couple of years. Unfortunately, these expenses can be difficult or impossible to predict. Do you see yourself in a mature neighbourhood or do you want to be close to the action? Resale homes have the benefit of being located in established communities with mature landscaping but this can be a drawback depending on your lifestyle. 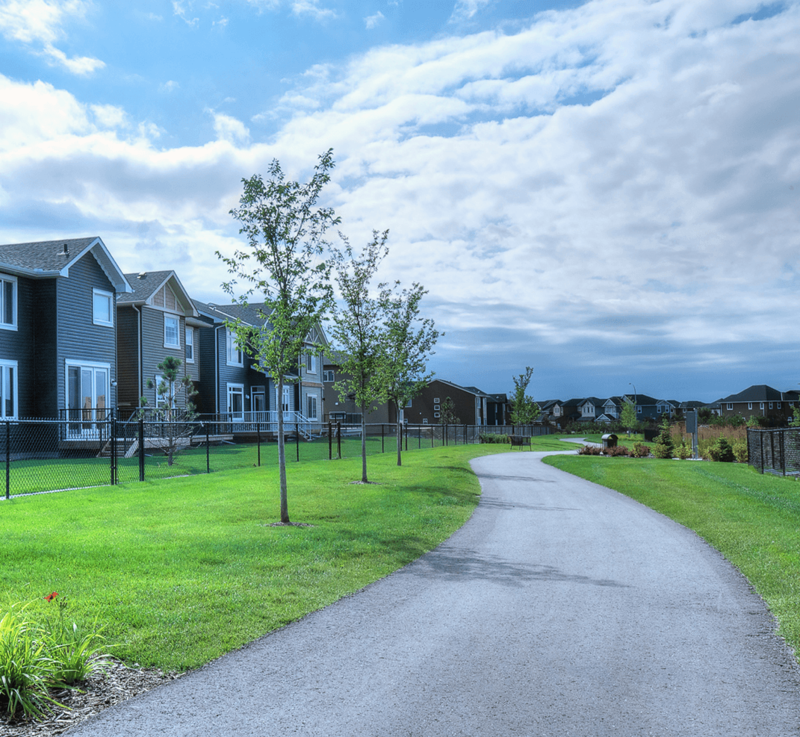 New home communities in Calgary are designed from the ground up to include the amenities that today's buyers are looking for, including walkability with hiking trails, green space, convenient shopping centres and rec centres, and short commutes. You may find it difficult to get what you're looking for in an established neighbourhood in your chosen area. Because many new home communities are in bedroom communities that are still being developed, you have another perk to consider: you can buy into the community before it's well-developed and popular with home prices that are pushed outside of your budget. One of the biggest advantages of buying resale is you can close and move in fairly quickly. For some homeowners, a new home can seem like a deal breaker because it may be many months before your home is ready. If you're concerned about the timeline and want to move in quickly, there's a compromise: a quick possession home. 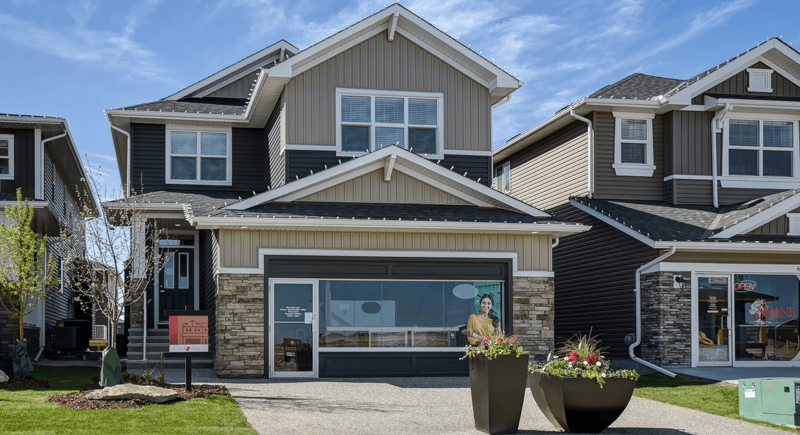 These homes are already complete or very nearly ready for move-in with the most popular colour options, layouts, and upgrades in the community. While you don't have the same level of customization (in some cases you can still make changes, however) when you build a home, you can enjoy the same benefits of a new home. Remember that initial cost isn't everything. If you focus only on the initial price of a home, you may hurt your long-term value and make it harder to get the right home for your needs. Resale homes can be a good choice if you have a flexible wish list, love the character of an older home, or you're looking for a project but it's hard to compare to customizing your own home without any unpleasant surprises after move-in day. If you're considering the option of building your own home or compromising with a quick possession, NuVista has a variety of new home models as well as move-in ready homes to choose from. 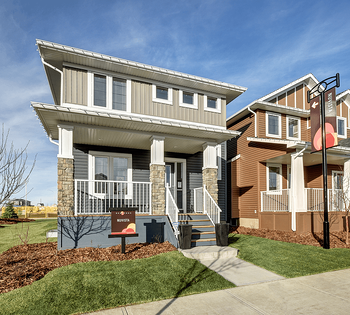 Visit our show homes to get a better idea of what's right for you.